NO MORE DIETS OR GIMMICKS! We offer something much more than a simple diet plan or a gimmick herbal supplement. You will still be able to enjoy the same foods, only your body will not need as much in order to feel full. 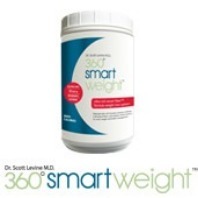 Fiber is the key ingredient in Dr. Levine's Ultimate Weight Loss Formula. This patented product contains 5 different types of natural fibers, healthy B vitamins, and antioxidants to promote quick results and overall health improvement. Its the zero-calorie, stimulant-free way to lose way! 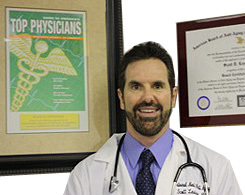 Dr. Scott Levine, Board Certified in Internal Medicine and Anti-Aging and Regenerative Medicine*, specializes in weight management and anti-aging preventive care. He has been in practice in Orlando, Florida since 1989 and was recently selected as one of the Leading Physicians in the World by the International Association of Internists, one of America's Top Physicians by the Consumers Research Council of America, and Top Doctor in Orlando. In his search to optimize his patients' health, Dr. Levine developed a number of health-enhancing nutrition, weight loss, and anti-aging skin care products. In 2006, he received a U.S. Patent for his ultra-high fiber supplement and method of reducing weight, cardiovascular risks, and ingested toxins. Dr. Levine's Ultimate Antioxidant Formula: The most powerful anti-oxidant available combining over 30 antioxidants, vitamins, minerals, herbs, and coenzymes formulated to optimize your health! Dr. Levine's Ultimate Weight Loss Formula: Ultra high-fiber weight loss drink is the smartest, healthiest, easiest and most effective way to lose weight! Dr. Levine's Anti-Aging Face Creams: Contain proprietary blend of antioxidants, vitamins, trace minerals, herbal & natural extract for great skin! These products are now available here for you to optimize your health!